The power of crowd always has brought wonders. The same applies to the computing as well. The accumulated idle CPU cycles of millions of personally owned devices are capable of producing huge computing capacity. We have termed it as crowd computing. Though this very concept has been nurtured in the past through grid computing, in the age of powerful smartphones and tablets, it deserves to have a fresh look. 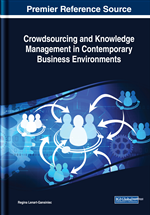 In this chapter, the authors aim to present crowd computing in a modern approach. Readers will be able to gain a fair comprehension of the various aspects of crowd computing and have an insight of the ecosystem of this computing paradigm. The characteristics, benefits, issues, implementational challenges, applications, and examples of crowd computing are portrayed elaborately. To clear the air, crowd computing has been distinguishably compared to other analogous computing systems such as P2P computing, cloud computing, supercomputing, and crowdsourcing. The business values of crowd computing as well as the scope of offering crowd computing as a service have also been explored. On July 14, 1789, a crowd of Parisian revolutionary citizens storm and dismantle the Bastille, a royal fortress that seemed as the symbol of the tyranny of the Bourbon monarchs (French revolutionaries storm Bastille), and marked the first climax of the French Revolution (Encyclopædia Britannica, 2016). History has witnessed many such revolutions instigated and executed by the force of the crowd. Lately, we are experiencing another crowd revolution – the crowd of computers. A crowd of humans is said to be physical if they are all located in a single place and virtual if they connect with each other on some sort of platform to accomplish a task using shared emotions. Whilst Crowd Computing is defined narrowly as being computer-mediated computing using a huge number of computers behaving as a crowd to accomplish one goal of enhancing the computation. Computing-intensive jobs are distributed to multiple computing devices across different geographical and administrative domain, owned by different people. It has been observed that most of the time these public-owned computing devices remain idle thus wasting a great number of CPU cycles. It is quite wondered that even small computers when work together, collaboratively provide huge computation capability that is quite comparable to (or even better than) a supercomputing infrastructure. Buying and maintaining high-performance computing (HPC) systems are exceedingly costly affairs (Pramanik, Choudhury, & Saha, January 2017). Collection of public (user’s) computer can give us an economical alternative HPC option (Pramanik, Choudhury, & Saha, January 2017). Volunteer Grid Computing has envisioned this approach and it has been successfully implemented for several projects. Though the concept is not indeed new, in the age of smartphones and tablets, Crowd Computing has touched a new height and become relevant like never before. These mobile devices are getting extremely powerful and fairly resource-intensive. Thanks to their extensive usage, a ubiquitous HPC facility can be availed from anywhere and anytime. With a new wave of digitization across industry and consumer segment, we are experiencing a data deluge in every computing environment which eventually has necessitated the processing of this data to extract the meaningful information at real time. Crowd Computing that offers a ubiquitous and cost-effective HPC facility on demand can effectively abate the ever-increasing demand and supply gap of computing power. In endeavoring to strengthen the communication and collaboration between machine and human, the term ‘Crowd Computing’ has been used in quite a few diverse contexts. It has been referred to conceptualize in various ways in the form of Crowdsourcing, human computation, social computing, cloud computing and mobile computing (Parshotam, October 2013). Indeed, it represents different connotation on different perspectives. As a result, people have defined and described Crowd Computing in different aspects in literature. Murray et al. (Murray, Yoneki, Crowcroft, & Hand, August 2010) are probably the first to use the term ‘Crowd Computing’. They proposed the idea to spread the computational jobs to a collection of smartphones using an opportunistic network. In this chapter, our reference to Crowd Computing is nearly comparable to the Volunteer Grid Computing. We define Crowd Computing as a distributed computing system where several personally owned computing devices come together offering their free computing cycles to carry out a processing intensive computing task. A broader definition of crowd computing encompasses utilization of a huge number of computers with various capacities distributed geographically, having a different network domain, different governing authorities which willingly collaborate together to accomplish a big computation problem that would otherwise require a huge computation resource to accomplish the tasks. Ideally, the crowd offers their service voluntarily. But, in practical, most often they would like to be rewarded for their service rendering.